This year's Marbella Feria took place on June 5-12, 2016. Me and my friends were out and about in Marbella's Old Town for two days, and I managed to take a lot of pictures to show you what a Feria really is! Every year in the month of June, Marbella prepares to celebrate Semana Grande in honour of its patron, St. Bernabe. Residents and visitors gather to enjoy a few days of fun at the Fair. A very carefully designed programme ensures that everyone from the youngest to the oldest can find activities that interest them. 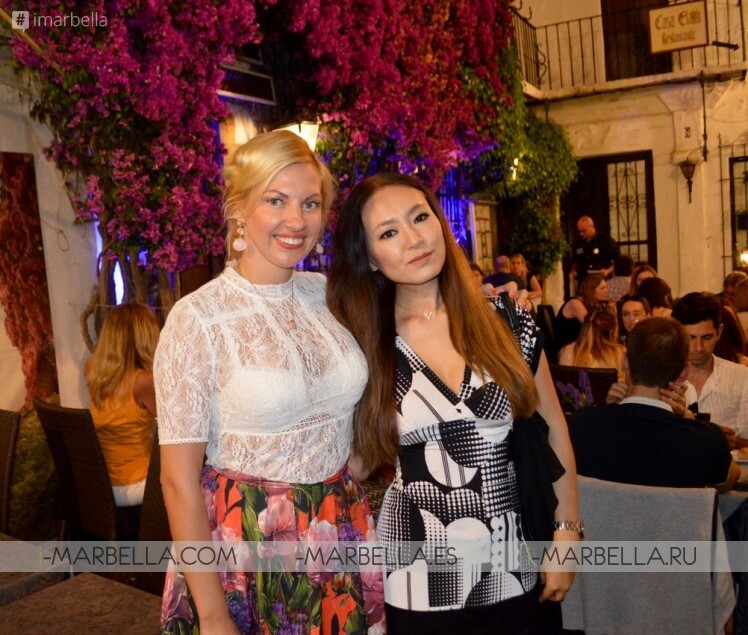 Marbella glitters in June with residents wearing their best clothes to honor their patron. The festival program is extensive and children, youth, adults and seniors enjoy the various children's parties, concerts, horse walk, dance schools and countless events which offer substantial opportunities for entertainment and fun. The actual date of the Marbella fair is determined by San Bernabé Day, which is June 11th. This is always a local holiday and the fair takes place during the first or second week of June depending on where the 11th falls and how the Town Hall thinks it best fits with all the festivities. 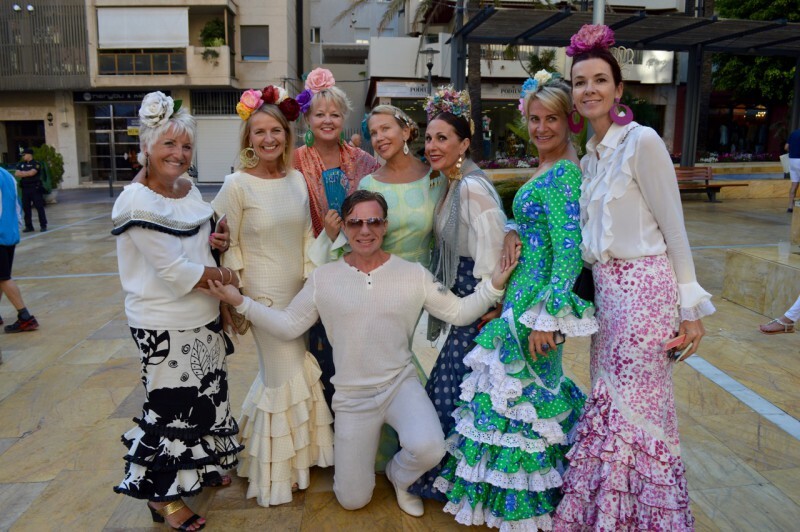 I truly enjoy Marbella Feria as everyone, both locals and tourists, put on sophisticated flamenco clothes. 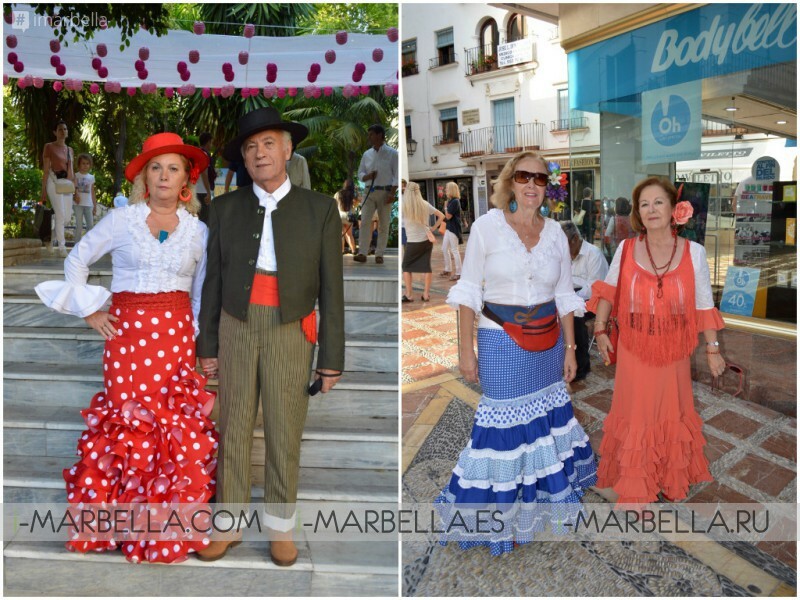 Local people dress up perfectly, this is a true image of Marbella Feria! We spent the first day just walking around. 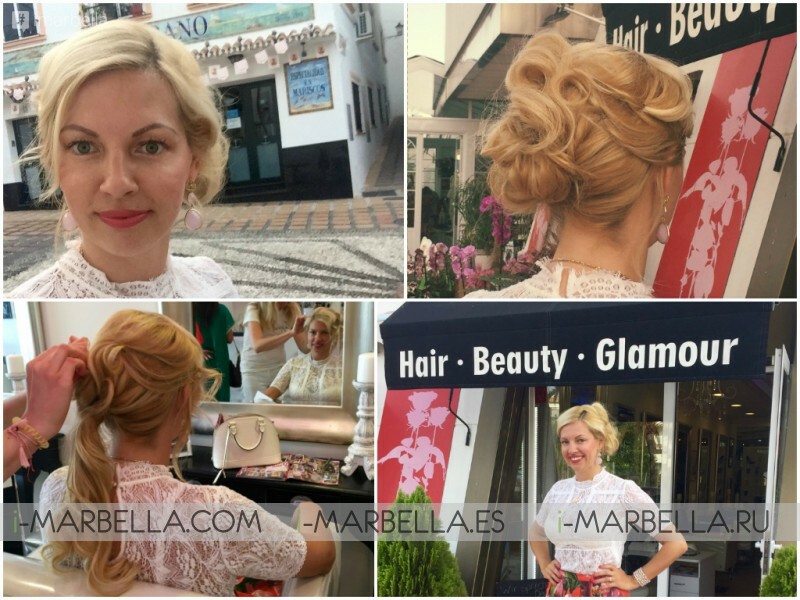 For the second day, I specifically chose a lilac skirt to match a feria hair-do by Cappucino Glamour, a beauty salon in Puerto Banus. It was perfect! After the walk, we were invited by Kristina Szekely to a Spanish elite event at La Bodeguita del Pozo Viejo Restaurant. It was a truly Spanish event in every sense, where no other language but Spanish was spoken or heard! The wine and tapas were flowing from all ends! The prices were also very reasonable for the Spanish scene. On the way, me and my best friend Saeko Hamada managed to take some pictures with the wonderful flowers in the streets of the Old Town. Marbella's Old Town is exceptionally beautiful, with white houses, narrow streets, and wonderful greenery. It is a must-see place in Marbella. Orange Square is the all-time favourite.